The “Blog” of “Unnecessary” Quotation Marks: the "tailor shop" eh? So I guess the tailor shop is a front for something. Brothel? Drugs? You decide. Thanks, Rick. It could be a church. The sign does say to see Jesus, after all. Hey wait a minute. This must be the answer to the first picture of April 29th !!! I dunno, I think that that one is legit, provided that the business is called the 'Tailor Shop.' Otherwise, no. Okay----why is Jesus wanting to front his carpenter shop by camouflage as a 'tailor shop'. Come clean Jesus or m a y b e i should say "Jesus"? 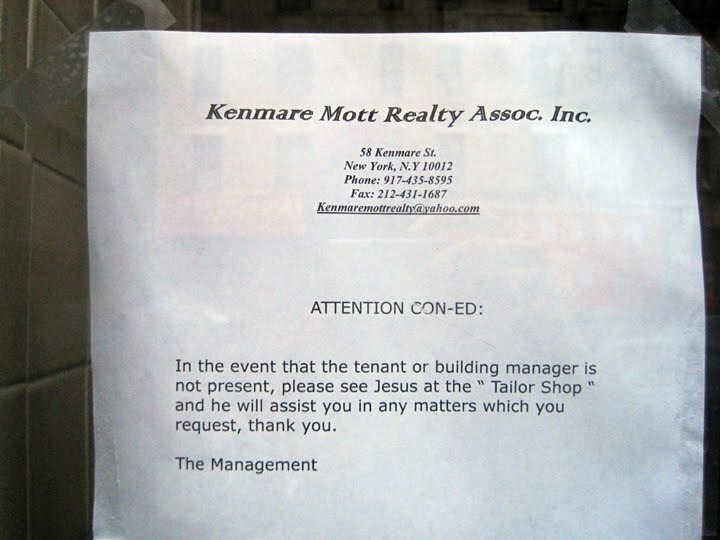 It used to be a tailor shop before the religious zealot saw the image of Jesus there and declared it a shrine. All non-believers now call it the "tailor shop".